Note: The provider cannot setup a child account only the parent can do this. 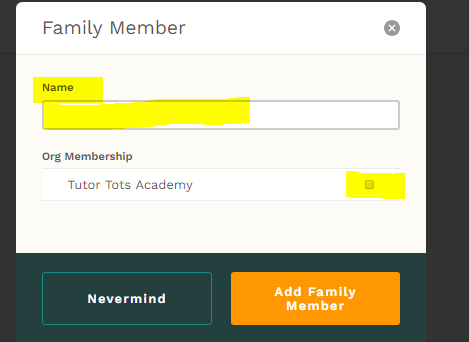 Click on "add family member", enter the name of the child or family member and select the organization which they are a member of, for example they could take music lessons or tutoring on two orgs that use Fons. Do both clients and providers have access to the calendar feed feature?